Burn time average 50+ hours! Burn times average 35+ hours! 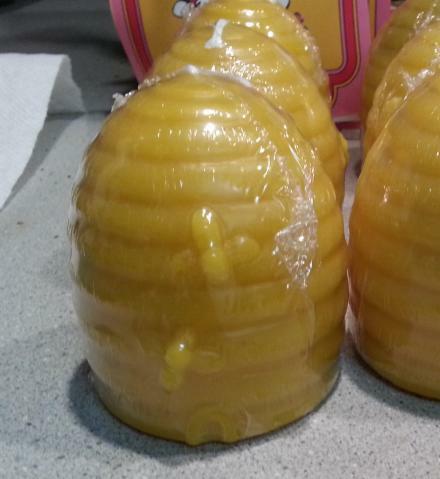 Purchasing 100% pure natural beeswax candles support beekeepers. Unlike soy, palm and paraffin wax, natural beeswax is used essentially in its native state. There is no bleaching or hydrogenating. 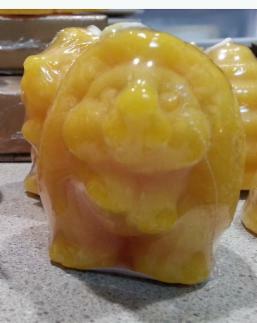 Beeswax does not go rancid, has a very long shelf life and won’t melt or distort when stored away from heat. Beeswax production does not require the sole use of large areas of agricultural land, instead it supports crop pollination for a healthy food supply around the world. 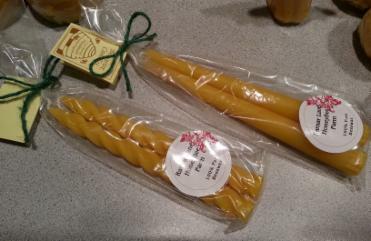 Beeswax Candles do not have artificial additives to prevent fading. If this is a concern minimize direct sunlight and full spectrum ultraviolet lights. 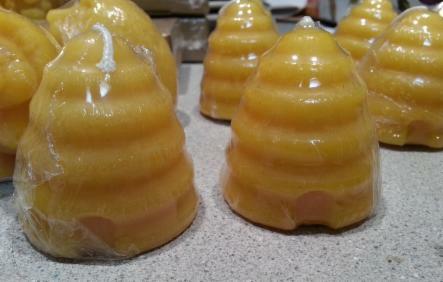 The pure, high quality natural Beeswax in these candles has a natural honey aroma with nothing added. 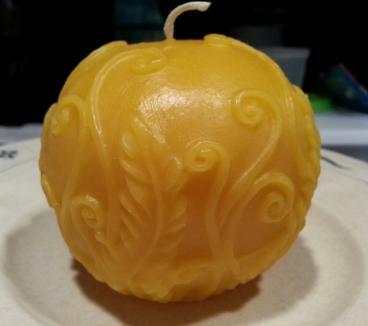 Our Beeswax Candles contain only pure beeswax essential oils, no synthetic fragrances. Sound like an oxymoron? The reason we use this term is that there are many burning conditions that we cannot control such as wick trimming, fans, open windows and fast moving people or pets. What we can control is quality wicks and clean beeswax. 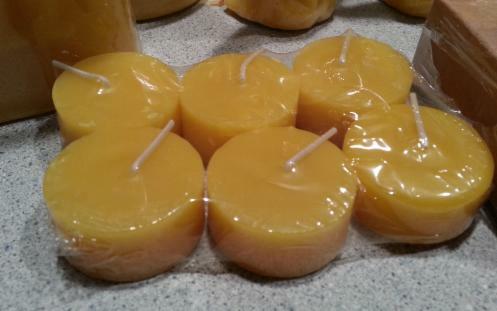 When trimmed correctly these Beeswax Candles are dripless in a draft-free environment. 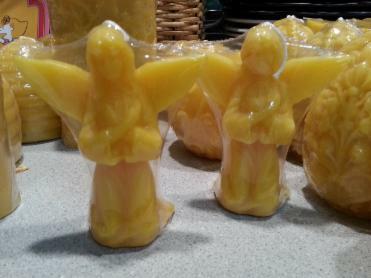 100% pure natural beeswax candles are known as the 'Cadillac of Candles.' 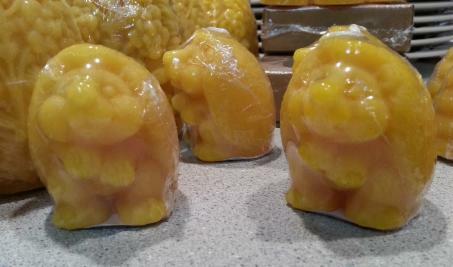 However, not all 100% pure beeswax candles are made equally. 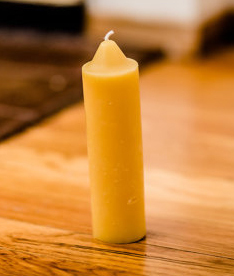 Our Beeswax Candles are very high-quality with a depth to the finish many other beeswax candles lack, the candles are smooth with no flakes, cracks or white spots. 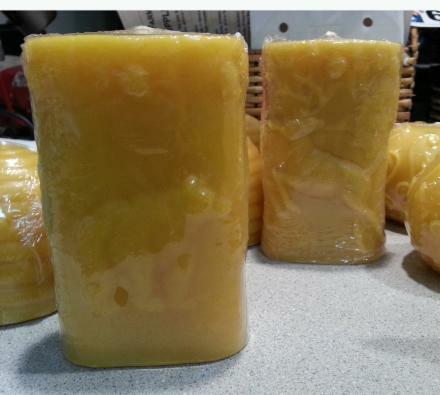 We only use the natural wax cappings which produce a beautiful canary yellow luster. 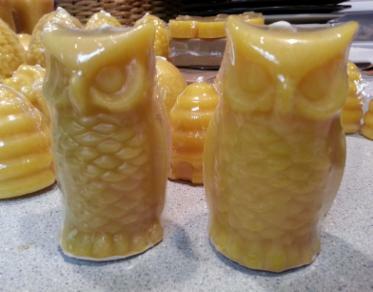 No dull or dark wax, as is found when others use old honey comb. Our Beeswax Candles are inspired by the natural beauty around us... 100% pure natural beeswax and are hand-made at our location in Delaware, Ohio. 1. Candles should fit snuggly in holders specially made for candle usage. 2. Burning candles should never be left unattended. 3. To prevent smoking and dripping, trim wick to 1/4 inch prior to each use. 4. Burn away from draughts and fans which can cause uneven burning, dripping or smoking. 5. Don't trim the wick too excessively as it may be immersed in the wax pool and result in a tiny flame or cause relighting to be difficult. 6. Light the wick from the base of the wick to allow the wick to coat with the melted beeswax and burn properly. 7. To avoid a tunneled candle, gently press the edges of the candle towards the center of the candle during burning. 8. Extinguish candles when they get within 2 inch of their holders. 9. Be careful not to splatter the hot melted wax when blowing out your candle. 10. To eliminate smoke when extinguishing a flame, use a suitable tool to press the wick into the wax pool and straighten it again. 11. Remove any foreign particles from the pool of melted wax after extinguishing your candle. 12. 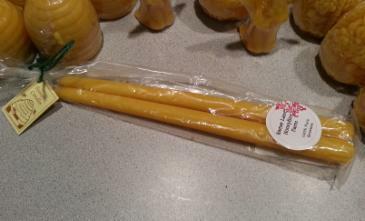 Beeswax candles do not expire. 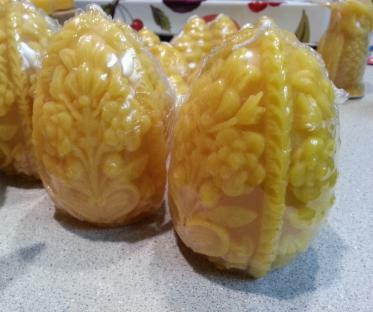 In fact, aged beeswax candles burn longer and with more beauty than freshly made ones.